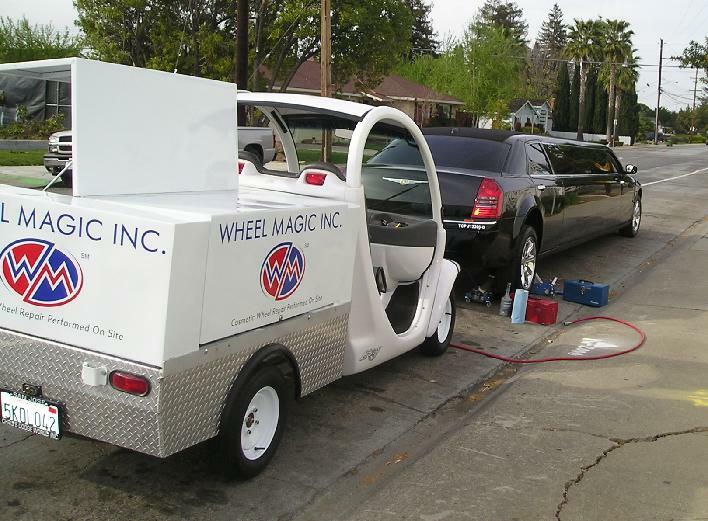 Wheel Repair in San Jose area - Wheel Magic, Inc.
At Wheel Magic, Inc., our mobile alloy wheel repair specialists provide cosmetic wheel repair onsite with uncompromising quality and attention to detail, usually in less than an hour. Located conveniently in the Bay Area and Central Valley, we come to you with fully-trained professional technicians who are able to provide cosmetic wheel repairs in a timely fashion, getting you back on the road as quickly as possible. Repairing your expensive wheels is much more cost effective than throwing them away and buying new ones. Even replacing one wheel can be quite costly. Let us provide you an alternate and economical way to deal with your damaged wheels.